Did you go knitting last night? I wanted to go so badly, but house shopping is #1 priority right now. 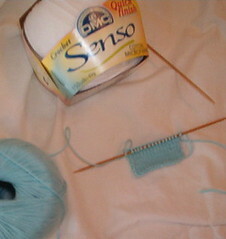 I'm so looking forward to next week, as I'll be working on my sweater! Yay! Sounds like an interesting sock experiment. Let us know how it goes.